Happy Equinox! With this latest turn of the yearly wheel on March 20th I’ve decided to present a guest article by J. Duval, editor-in-chief at Edelwyn. 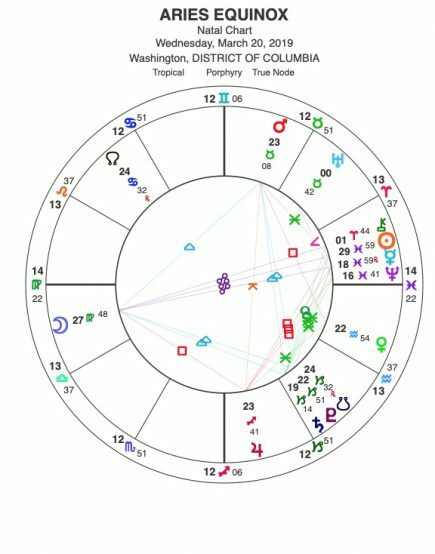 Looking at a Washington DC chart for this Equinox we see the Moon in Virgo rising which is perfect for this article about a more ancient way of honoring the divine and Mother Earth. 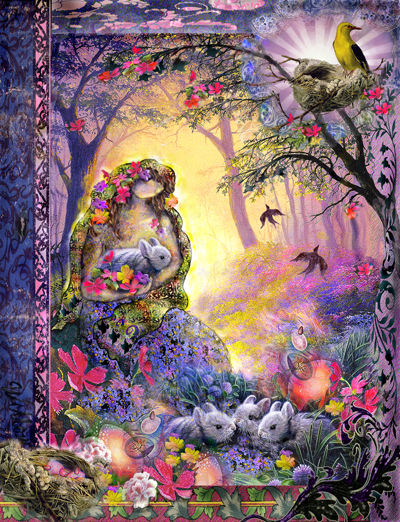 I feel that Pluto in Capricorn and now Uranus in Taurus, both in EARTH signs, symbolize another trend that this woman writes about: the rising and rebirth of the old ways. There is actually a kite formation in this Equinox chart with the Moon opposite Neptune/Mercury/Sun all in Pisces and a Grand Trine with Mars in Taurus and Saturn/Pluto/S.Node all in Capricorn. Again, the symbolism of rising up presents itself. 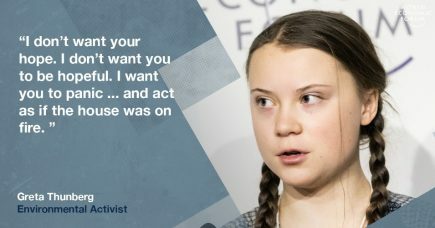 And what better awakening to us all than the student’s school strike this past Friday led by that brave 16-year-old, Greta Thunberg, now nominated for the Nobel Peace Prize; and rightly so! If we as a group of humans on planet Earth don’t listen to the FEMININE in these timely messages we have no chance of sustaining life in this world. Recent statistics show that an increasing number of Millennials are shunning traditional Abrahamic religions in favor of esoterism, paganism, and Wiccan beliefs. According to sociologists, theologians – and members of this growing cohort of young witches –Millennials are exploring spiritual practices that for a long time were seen as fringe or occult, and thrusting them into mainstream American culture. Here are some of the factors behind this trend. Wicca is very much about the outdoors. 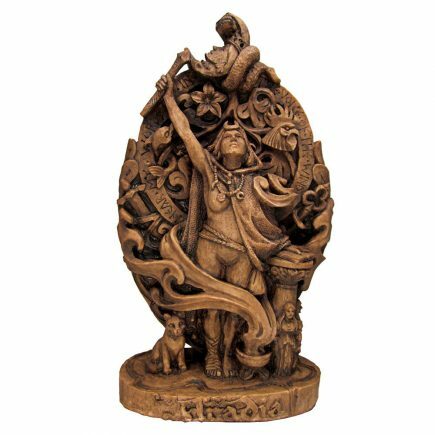 In fact, the term Earth religion is widely used in the context of neopaganism to describe ritual magic practices and belief systems that honor the elements of nature. As an environmentally-conscious generation, Millennials are seeking for meaning and identity in religious practices that extol the sacredness of Mother Earth. “An ye harm none, do what ye will” is one of the most sacred among Wiccan beliefs. It means that as long as you do no harm — to nature, to those around you, and to yourself — you may do as you wish. Millennials are typically more open and tolerant with people of different sexual orientations, whereas many older followers of traditional Abrahamic religions tend to discourage non-heterosexual lifestyles. In fact, members of the LGBT community are still commonly denied access to important rites of their faith. In contrast, most Wiccan covens are very welcoming to diverse forms of sexual and personal expression. This can be truly liberating for new adherents, who finally feel that they can be who they are and love who they please. 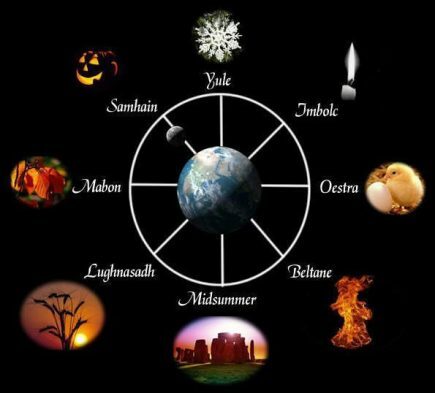 Heading into Wicca and the occult means honoring traditions that are incredibly ancient. Wicca existed long before Christianity, and many participants in the rituals that mark Wicca feel a connection with that heritage. Even some of the most commonly used esoteric and pagan symbols predate Christianity. 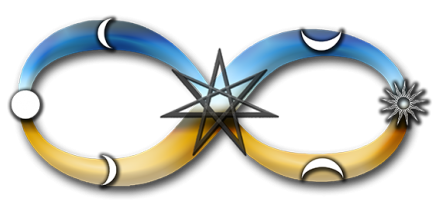 The figure eight on its side, also known as the lemniscate, is a perfect example of this: as an ancient symbol of eternal life, it is found on the Magician’s tarot card, in Egyptian hieroglyphs, and in several pagan rituals. Millennials take pride in their ability to think freely and see the world from different perspectives. This is confirmed by a recent Pew Research Center survey, which has found that Millennials are less attached to organized religion than previous generations were at the same age, with only about 40% saying religion is very important in their lives. The dogmatic principles of Christianity, Islam and Judaism require adherence to strict rules and codes of conduct. In Christianity, these rules are preached from the pulpit and taught top-down by church leaders. In its most fundamental forms, Christian dogma must align with the teachings of the Bible, and those who do not align may be denied access to their ability to take communion and participate in other community rituals. Paganism and esoteric practices make no such demands. Wiccans are free to have differing sets of beliefs and still be part of the coven. Much has been said about the technological marvels that Millennials take for granted – they are the first generation who have literally grown up with the internet, and as such they have no recollection of a time when the world’s knowledge couldn’t be carried in one’s pocket. Millennials are true “digital natives”: the internet and social media is their primary source of information. Furthermore, the net makes it easier than ever to find like-minded people. Those who once might have practiced Wicca in private can now find people who share their beliefs, while those who are in search of information can access easily information about these system of beliefs directly from people who practice it. In times of turmoil, people seek for answers to the problems that plague society, and are weary of older systems that appear to be failing. For many Millennials, alternative belief systems offer solutions to the world’s inequalities, environmental concerns, political instability. In short, the world sometimes feels broken – Millennials are simply seeking for ways to fix it. About the author: J. Duval is the editor-in-chief at Edelwyn,an online resource for tarot enthusiasts.